Leaders must keep their attention on managing operational risk while working to stay ahead of the curve, and offer their customers innovative new products. This constant tension is a challenge for many leaders in today’s competitive culture. My father taught me to “keep my eye on the store”. At the same time, the leader must keep in tune with customers’ changing needs and they must offer new products to maintain loyalty. We all know private companies who had security breaches while trying to develop new products to lure new customers. Many of their customers migrated to other companies when they heard this news. We also know of restaurants that did not pass their health unit test for cleanliness and, as a result, quickly lost their customers. In this era of social media word travels fast! Leaders in publicly funded organizations have many government mandated standards to maintain. Failure to do so can result in loss of government revenues. These leaders must pay attention to the current government’s changing agenda. The need to ensure the delivery of services in a way that fits with the “new direction”. Current examples in Ontario include changes to funding for autism services for children, giving parents money directly to purchase services. Agencies who had base funding for staffing are now left trying to consider a re-engineer into a private pay model. This tension between managing risk and continuing to innovate can be a source of ongoing tension for leaders. 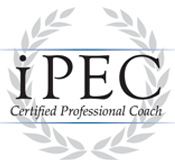 Many of my coaching clients discuss this ongoing tension with me. Together we develop a plan to help them manage both ends of this dichotomy to ensure a strong organizational reputation with both the people they serve and their funders. I’m the boss – now what? Oh my… Now I’m the boss. Now what? Listen to audio clip from a seminar. Last year, we saw an explosion on the workplace harassment front. 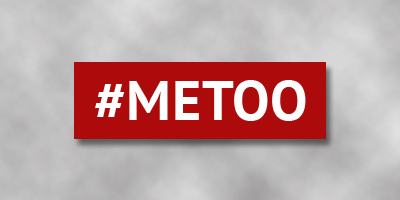 The “Me too” movement empowered both men and women who had been exploited, to uncover their secrets. Famous and not so famous people are bearing substantial consequences for their actions. Both men and women are speaking out and sharing their stories. Some people are minimizing the actions of the offender as just normal interaction between genders; while others are supporting the swift action taken to remove offenders from their powerful roles. While it is high time that these people are being held accountable for their exploitive actions, it also invites us to explore the deeper roots of these behaviours. I am a coach. I am always looking forward with “hope” for a better world. But how can we possibly get there? I am convinced that, at the very core of harassing behavior, is some type of fear; that some inner deficit drives such an act. Could it be fear of rejection or loss of youth and vitality? How does society glamorize youth and desirability? Have the offenders failed to love themselves enough to cherish their own integrity? What past hurt are they trying to cover up by abusing their power? Are they afraid to share these vulnerabilities with their loved ones? And, if such deficits are indeed at the root, are women ready to support men when they are hurting? Are men ready to support vulnerable women? Can we learn to witness such human vulnerabilities with compassion, and meet them with whole- hearted support, love and understanding? This requires a whole paradigm shift. I want to create a space to explore these questions and own our part of this dynamic. We might find our way forward. We all want these incidents to STOP. Openness and dialogue can lead us towards healing and more equitable relationships in the future. Are you ready to join in this discussion? I am planning on hosting a workshop or tele-seminar in the Spring 2018 to begin the dialogue. If you want to join others in this dialogue message me and please state your preference for a tele-seminar or workshop format. We all know the value of building a network in our professional and personal lives. So, what holds us back from building our networks? I find it puzzling, that some of my coaching clients feel so comfortable picking up the phone or emailing a new contact who can help them to advance on their journey. Others, almost freeze at the suggestion that they might consider reaching out to someone who they don’t know. What is the “roadblock” that prevents someone from making a new contact? Most likely, it is fear of rejection. What if their “reach out” is ignored? What if the person says “no”? What if they do end up meeting the person, but don’t “click”? When my coaching client begins to explore this fear of rejection, they soon realize that they have more to gain than they have to lose by trying to connect with someone new. So what if they are rejected? They might feel bad for a day or two, and then they will let it go. On the other hand, what if the person says “yes”, and a new world of possibilities opens up for them? Now, wouldn’t that be great! I am an experienced leader. I also have had these same doubtful thoughts, as I reach out to someone I have never met. The whole “Linked In” platform is built on the premise that connections are key to success. Yes, sometimes I do not hear back. It stings for a short time, but I get over it – nothing a chai latte can’t cure! 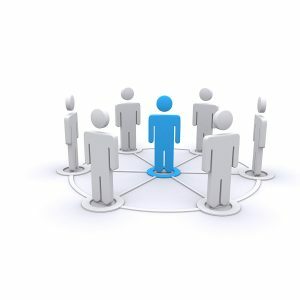 More importantly, I have most often been met with a resounding positive response: “Yes, I’d love to meet and talk about this with you.” The richness of these connections has led to a deepening of my understanding of the issue/s at hand, and often it has led to a new consulting job or coaching client. We are all craving connection in this sometimes cruel and isolating world. Go ahead and make that call. If it doesn’t work, try again….and again. And, if it does work, your confidence will receive a “boost” and you will be much richer for it and perhaps more successful. Here’s how Windsor can improve. . .
Windsor is the worst city in Canada for women, according to a new report by the Canadian Centre for Policy Alternatives. The think tank cites a number of factors, including the high number of male-dominated industries and the lack of educational attainment for women. Through my business, I coach many women who want to move into more responsible leadership roles and are stretching in many ways. Some of them are reluctant to accept promotions when they are already stressed by having to juggle their careers along with caring for children and sometimes aging parents as well. They often assume that it is their sole responsibility to care for the family. A read of Sheryl Sandberg’s book ‘Lean In’ will illustrate this point with excellent data and research. Women, we need to give ourselves permission to negotiate a more equitable sharing of responsibility. Fathers often fear repercussions if they ask for time off to care for a family member. Some report that their employer frowns upon this type of request. For this to change, employers need to ensure they are treating men and women equally with respect to time off for family responsibilities, such as medical appointments. Windsor is a city with a large manufacturing sector. More women are working in non-traditional careers such as STEM (Science, Technology, Engineering and Manufacturing) and, while it is not easy for them to speak up for equality in male-dominated workplaces, many brave pioneers are doing so. I have worked in a male-dominated workplace and it is not easy to advocate for equality. I was fortunate enough to have a male boss who supported gender equality and this was a huge support to me. We need “male champions” who will support the women who take these brave steps and who recognize and support the leadership abilities of women. The research also points out that women are underrepresented in the political arena in Windsor. Windsor has only 23% female representation at the political level while London has 32% There have been other points in time when we had more representation, and I hope we get there again in 2018. It is not easy to be a politician and there are many sacrifices these people make for public service. Our daughters need to see the value of stepping up into important roles which make our city and community stronger. Women believe that they need to be perfect before they apply for a job or signal their interest in a promotion. They tell me that they are missing one of the qualifications required in the job posting so they won’t apply. The men I coach apply for the job, and in the interview they tell the employer how they will learn the skill or get the certification required. Men often signal their career aspirations to their boss while women hold back hoping that they will be recognized for doing a good job. Women need to come forward earlier and share their career aspirations if they desire to move to senior roles. In addition, some women are leading in their entrepreneurial endeavours and we have much to learn from them. Women: you do not need to be perfect in all aspects of your life; be confident enough to reach out to ask for help from your spouse/partner and then tell your boss what you need to get ahead. And, men: be our partners in helping us reach our potential. Let your “locker room talk” be courageous enough to boast about the great women in our city and how they are leading Windsor into the future. One of my coaching clients has recently been promoted to a management job from her role as an executive assistant. Sundays are tough for her, constantly worrying about the next week. She worries whether her staff will do their jobs well enough to prevent an embarrassing mistake from happening. She is a perfectionist, and wants others to do their jobs like she did when she had their role. What is she is supposed to “do” in this new role? She feels a bit lost. I explain to her that her new role involves the use of two “learned” skills. The first skill is exerting her influence over others to do the “right thing”. She models thoughtful professional behavior and has very high standards. She can gently encourage her staff to follow in her footsteps. The second skill involves trusting her well-honed “intuition” when making decisions and dealing with her team. These skills come naturally to her, given her wealth of experience. Over the years she has weathered several changes, and has learned what works and what does not work in difficult and complex situations. Mentoring others who are looking to develop and grow in their roles, involves sharing her wisdom, “lessons learned” and sage advice. It seems so hard to make this transition from the doer to the knower but it is really simple. Having influence and trusting your intuition are important parts of this manager’s role. Provide mentorship when others need it, and then get out of their way! Watch as they grow and develop, benefitting from your support and encouragement. Now her Sunday nights are much easier, as she relaxes into this new territory. 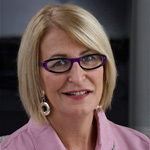 This spring, much of my coaching and consulting work has focused on helping women to stretch in their careers. I just listened to the commencement speech that Sheryl Sandberg gave at Berkley. In the face of the loss of her dear husband, she is able to stretch. This is incredibly brave and very inspiring. I am working with some coaching clients who are challenging me to be the very best at holding the space for them as they struggle with job loss. I am helping them move from a victim mentality and “feeling stuck”, towards gratitude and exploring now possibilities. They are working so hard, and I am delighted to support them to find their “fit”. I am a “fixer”, and I am stretching to remember that not everything needs to be fixed by me. Some choices fit for others, but bewilder me. I am working to accept their choices, without judgment. Everyone follows his or her own path and they do what feels right to them. Letting go and lending a listening ear (if they ask for one) with an open heart is what works best. Boy, is this ever hard for a fixer! This is my “stretch assignment” and I am taking it seriously. I invite you to be introspective. 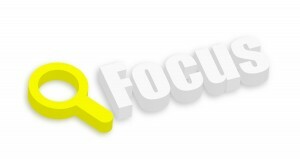 How do you focus to get results? Great leaders know where to focus to get results. They don’t spend time reading meaningless emails and doing busy work like checking social media. Instead they have a priority list and are goal oriented. So how focused are you each and every day? Every time you get a bit off track, do some self talk and get back to your FOCUS. It will pay off in spades. Working with a leadership coach can bring great focus to your work and help you to be more successful. Give it a try. My recent work has confirmed that women still struggle to get recognized and find the kind of support that they need in some workplaces. Our focus groups and surveys confirmed that while women have progressed, some women continue to struggle to get the recognition that they deserve. So what can Male Champions do to support hard-working women? Send out an email to all parents including moms and dads, or ask in a meeting how their kids did in their first day of school. Show your interest in family matters. Notice who is being asked for their opinions in a meeting. If you feel women are being overlooked, ask them yourself what they think and bring them into the discussion. Be a role model for others. Do not tolerate sexist statements or attitudes. If you hear derogatory comments from your male colleagues speak up and correct them. Be bold! Ensure women who desire a new challenge get the training they need. This may include roles which have traditionally been held by males. Perhaps a stretch assignment could help them learn and develop or test the waters in a new field. Think outside the box. If your employees need to address family matters, trust that they will be responsible and will make up the time and give back more than they took in the few hours they needed for that doctor’s appointment. Promote work- life balance. These easy actions will make your workplace a healthier and happier place for everyone, including yourself! What are my thoughts while in an interview? Finally, you landed the interview! You come into the room and find an interview panel of four people. You have prepared for this interview. You sit down and feel your heart racing and you notice that your palms are sweating. This is a normal reaction to the competition and judgment process we all feel in an interview. So now it begins. The lead interviewer asks you to review your resume and relevant experience. You ace that part. Now they move into long behaviour based questions. This is much more difficult for you. Describe the situation, what skills you used to deal with the conflict and the resolution. Were you satisfied with how you responded under stress? So you do know from my coaching that you can choose your thought. “Well that is an good question – We all need to deal with the different opinions in the workplace which sometimes lead to conflict. They must encourage different ideas to be expressed here. Okay – It’s a long question. It is so important to give yourself positive affirmation in this tense situation of an interview. We all default to negative energy under stress but choosing positive thoughts allows you to remain as grounded and clear headed as possible. This simple interview technique is part of my 4 hour interview-coaching package. I’d love to help you be your best in the next interview. © 2019 Ronna Hope Warsh. All rights reserved. No copying without written permission.